Great box with the shaker on top !!!!! 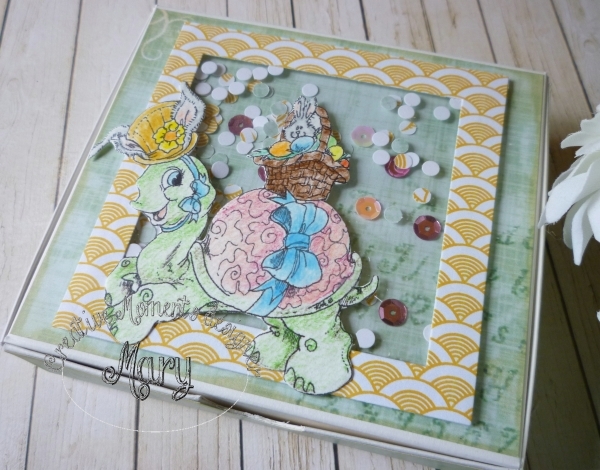 love the image and your colouring great idea to make a shaker. Thank you for joining in at MMM. 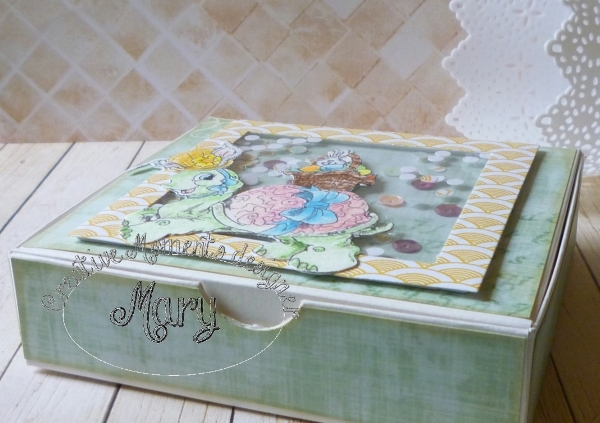 Great box for your yummy treats! 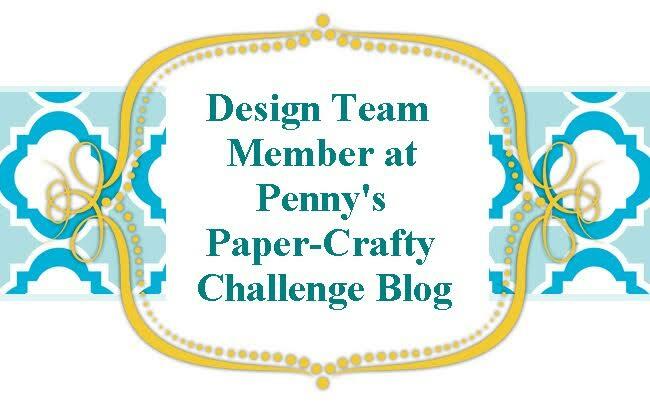 Thank you for joining in the Anything Goes challenge at Lil Patch of Crafty Friends. 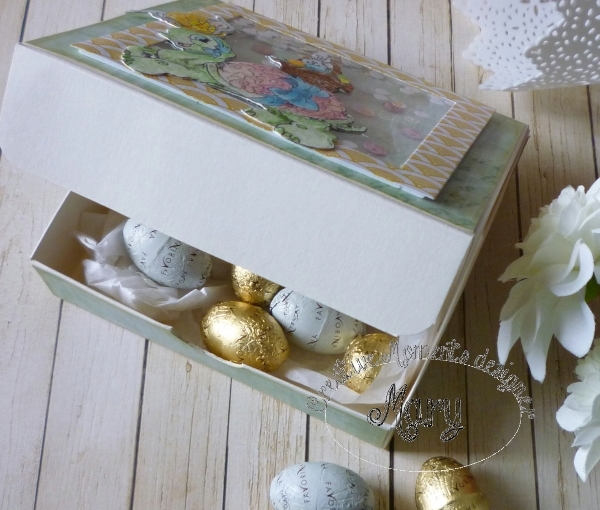 What an adorable Easter project. Fabulous creation! 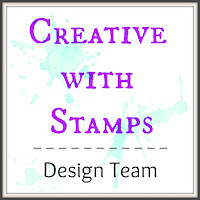 Thank you for sharing with us over at Let's Craft and Create. We hope to see you again.